But of all the items in my list, you only ordered one item – #3, teehee.. I like the Kacangma Chicken, Jelly Pisang is not bad too, but Peppers Cafe @ Tanahmas Hotel also serve an equally good one which is more authentic (according to the people who has tried the real thing in the past – soft serve ice cream was not a major component). …and coz I went with my better half and dad. Been there once as STP keeps promoting its delicious dishes to me. Lol. Love its Payung Rojak and Mushroom rolls!! We’ve all tried both the Payung Rojak and the Pomelo Salad, the former can be a little too heavy for an appetizer and we get a lot of rojaks in that style over in Peninsula Malaysia. I’m not a huge fan of their mushroom rolls, had them in 2008 when they just opened too and occasionally after that. I do like their Otak Otak Fish though – it’s very different from both the JB style steamed otak otak and the Melaka style grilled otak otak. Thanks for reading Rose! I didn’t realize you’ve been reading since then. Cheers! I love their pomelo salad too., Simply awesome. Their Otak Otak not bad too. 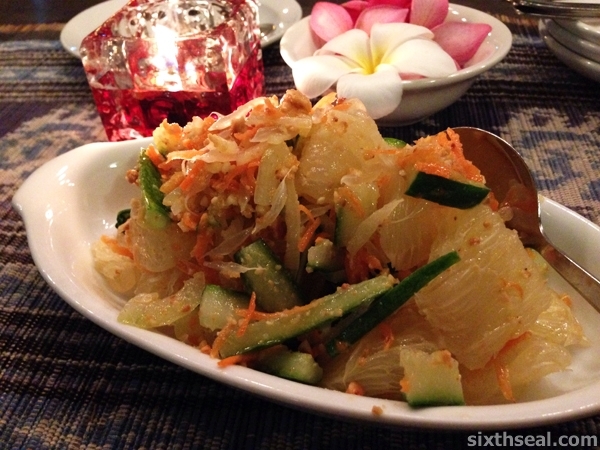 I asked my dear what she wanted – Payung Rojak or Pomelo Salad and she wanted the latter. I was also keen to eat the latter since Payung Rojak is too similar to the style of rojak we get in KL. Yup, the Otak Otak Fish is always a must-order when we go to Payung! I’ll always order it coz they make it in-house everyday. Oh ya, she never tried Kacangma Chicken before too, so I wanted her to try this very Sarawakian dish! The food looks really good! And reasonable too at rm82 for three person with so many dishes. Nice ambience there. The ambiance here is good, especially at night with the cool breeze going. 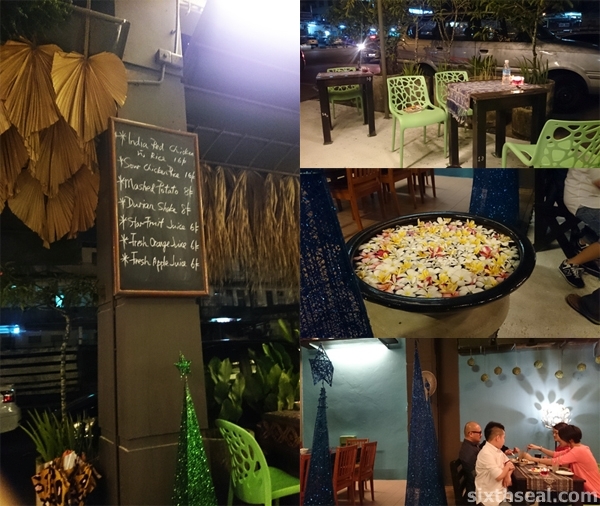 Their newer restaurant called Payung Mahkota is located at the lobby of a local hotel called Orchid Hotel – it makes the ambience very antiseptic and cold so I still prefer the original outlet. RM 82 for three pax in Sibu is considered a little on the high side for some locals – that’s partly why it’s not as packed as other restaurants (you can get a meal for much less coz it’s a small town) while it’s a *bargain* if you can get this meal for the same price in KL. Haha. My favourite dining place! Did they play the nice keroncong oldies that night? So nice. I think their sour chicken is their version of the sour duck – many, like my missus, do not eat duck so chicken’s the substitute. My guess on that dish! Hey!!! You did not order the Payung rojak!!! The jelly pisang? 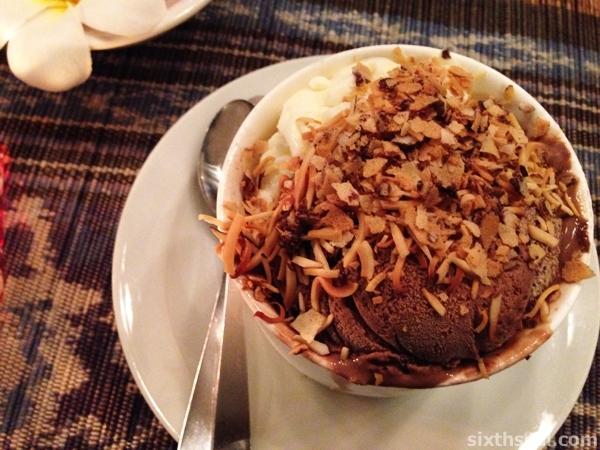 The durian ice cream… My blogpost tomorrow will be on this place…again! The Sour Chicken was the special of the day, it’s really good. I asked what it was made with coz we couldn’t identify the sour component and it turned out to be a paste of laksa leaves and coriander seeds. 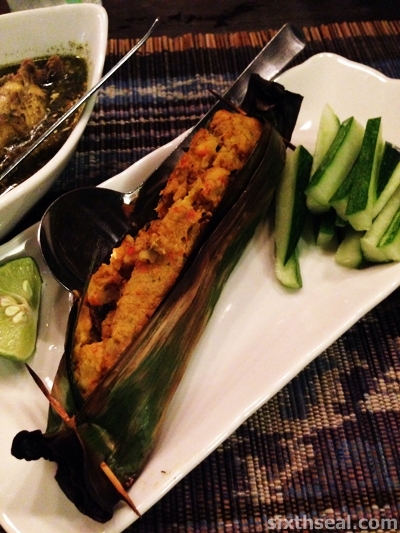 You should try it next time you to to Payung Cafe – all of us liked that dish! Hmm…no one was interested in those dishes. We wanted to try new things and some old favorites as well, and Payung Rojak isn’t one of them – too similar to KL style rojak and we wanted something fresh so the Pomelo Salad fits the bill better. I quite like the Jelly Pisang from Peppers Cafe – it’s a little more authentic in the sense that it stays truer to the original, ice cream wasn’t readily available back in the days. Not that I know personally of course, that’s all anecdotes from my dad and other people who remember Jelly Pisang. Haha! I do remember KFC having a Jelly Pisang like dessert though…this was at least over 20 years ago and it was called Jelly Cup (or something like that) and it only had a scoop of ice cream on top of the jelly. It’s been discontinued though. We were thinking about having another meal or dessert so we didn’t order as much since we just had this one dinner and wanted to make the most of it – we planned to walk around and head to the food festival going in Sibu last weekend after dinner here and also to shop for stuff to bring back to KL. Payung cafe, I think STP blogged about this before. The name is familiar. 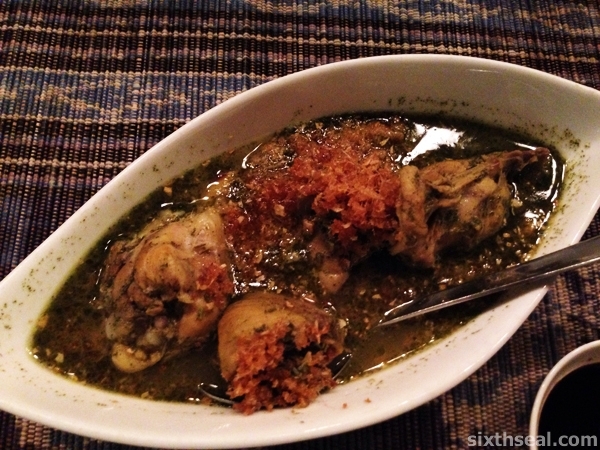 Kacangma chicken looks good, it’s my all time favorite!! I first knew about this place from one my coworkers called Joyce – she read that it just opened from a popular Sibu local Chinese language food forum and a bunch of us went that very night. I got to know STP that year since he just started blogging (a bunch of us encouraged him to write about food and he was asking me about how to setup a blog) and that was also the year I went out with him as a friend instead of a family friend (he was my late mom’s coworker). Yeah, the Kacangma Chicken is delicious! 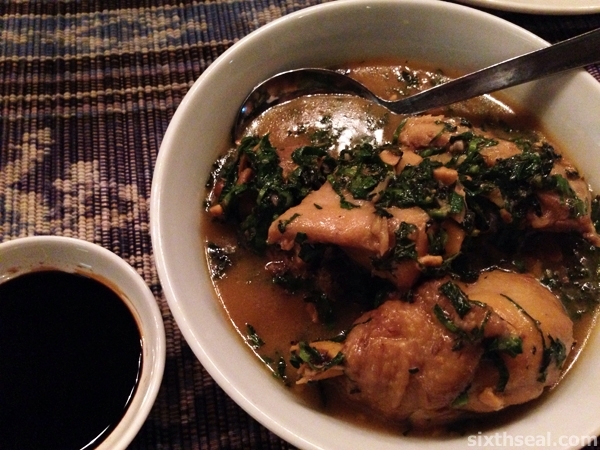 It’s a Hakka dish from Sarawak made with pounded motherwort leaves – it tastes very unique eh? My better half hasn’t tried it before so I wanted her to see what this is all about. There are a lot of local F&B successes e.g. Payung Cafe, Cafe Cafe (who also operates Zen, JackPork etc) but I’m not so sure they can compete with, say, the BIG Group’s restaurants like Plan b, BEAST, Hit & Mrs etc in KL. It’s a different playing field – KL has a lot more logistics support in terms of access to food, quality of food and both local, artisanal, and organic food on one side of the spectrum to imported goods flown in regularly on the other. 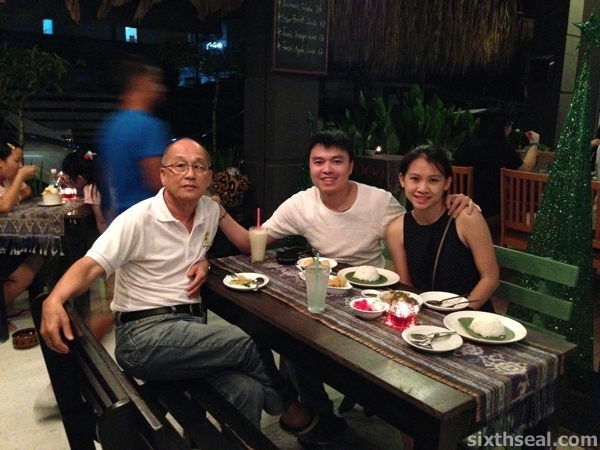 However, this is one of Sibu’s best restaurants, and it serves up great food with fantastic service. 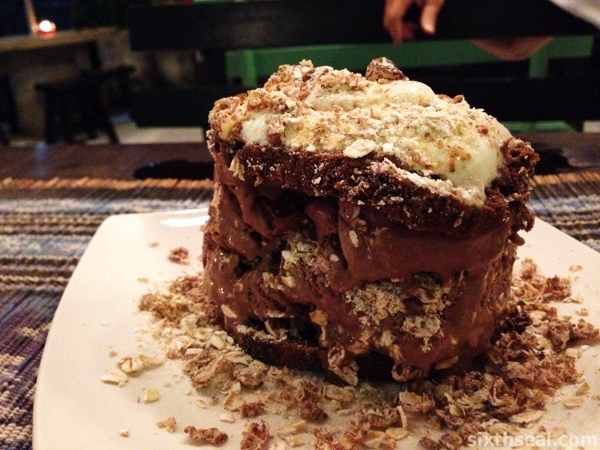 Yup, you definitely won’t go wrong eating here if you come to Sibu! Read about this place so much in STP’s blog. The food is sure delicious. I have eaten kacangma once at this eatery serving Sarawak food in PJ section 13 a few years ago, not sure whether the eatery is still there or not. 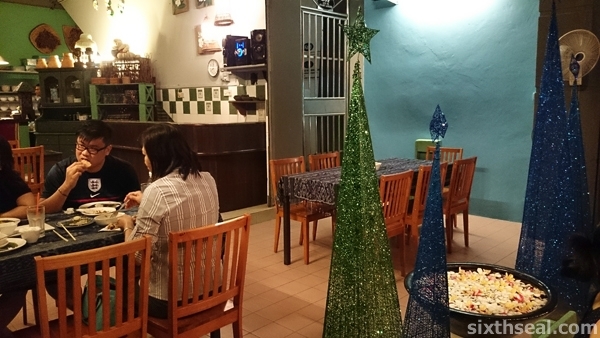 I think these two are the most popular places to bring guests new to Sibu. Sibu is so small though, word travels fast, I remember going to Payung Cafe (which was totally unknown back then) in 2008 coz a coworker of mine called Joyce read the owner’s post in a local Chinese forum to ask people to come and check out his new restaurant so we went that night. STP and a couple of other Sibu bloggers asked me about the place after reading my review and I relayed the address to them. It’s been popular ever since – it has the support of the local blogger community! Haha! I remember that was the year I met him as a friend too, coz he had just started blogging and had a lot of questions he wanted to ask me. Nice! I know there’s another stall serving kacangma in Lucky Garden. I used to live at 10 Semantan Serviced Suites, and Bangsar was about 10 minutes away, it’s the closest place you can get authentic Chinese food! Pusat Bandar Damansara (less than a minute drive) is a place that doesn’t completely doesn’t serve pork and only has a a chicken rice place that’s good so Lucky Garden is the nearest destination for Chinese style coffee shops and stalls. Good to hear that there’s on in PJ Section 13 too, would love to go and try their kacangma! Hey nice hangout place! Sibu is really moving forward as a food haven. The sour chicken looks unique though. Both in terms of food and ambiance. I love this place and now that Payung Mahkota (their original second venture) has changed ownership, they’ve reverted back to concentrating on this restaurant and that can only mean better things. We loved the Sour Chicken too! I thought the mixture of herbs and spices is ingenious – coriander seeds and laksa leaves provides the acidic tang. 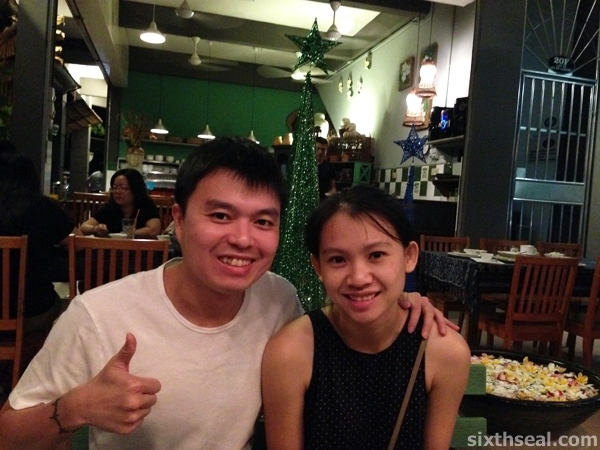 Great this time we managed to visit Payung Cafe, dear.The last time I went back with you it was closed. I think your dad was shocked to see us had two huge desserts for that night…hahhah. At least we managed to eat something local and different since you don’t like the food in Fisherman and we can get authentic Japanese, Italian and other food in KL anyway. I’m glad you enjoyed it and my dad did too. Haha! No, it’s good coz he does like desserts he just tries not to eat too much sugar and other stuff. 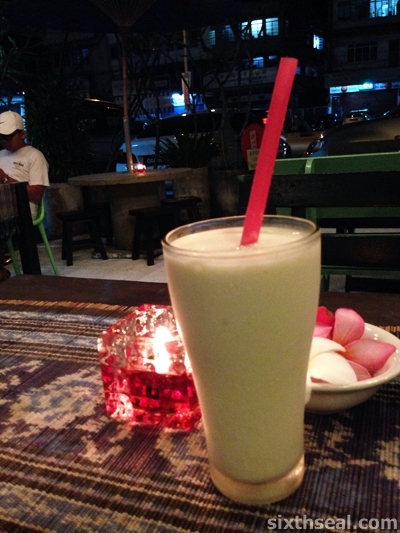 I love the food there and the durian shake is a must for durian lover like me! I heard they just got a new batch in and made a new paste which is why everything tastes so fresh and so much like real durians!